Bord na Móna Growise Houseplant Compost is not suitable for ericaceous plants such as Rhododendrons, Azaleas and Camellias. For this group of plants you should use Bord na Móna Growise Ericaceous Compost. Bord na Móna Growise Houseplant Compost contains all the nutrients your plants need for the first 5-6 weeks in their new setting. From then on, feed with a suitable fertiliser following manufacturer’s instructions as per plant requirements. Potting with Bord na Móna Growise Houseplant Compost gives plants fresh new nourishment and encourages strong vigorous roots. It contains nutrients for lush leaves and enhanced blooming as well as perlite to encourage good drainage for healthy roots. 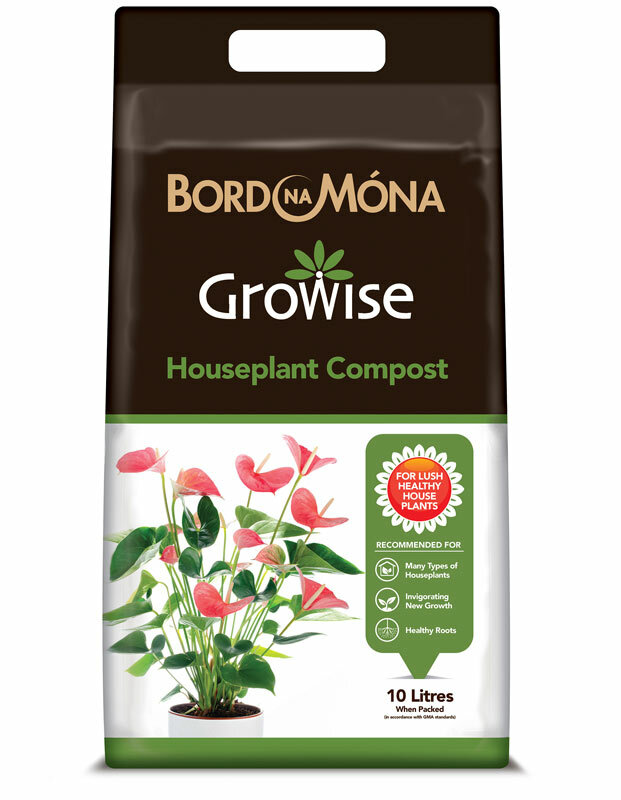 Bord na Móna Growise Houseplant Compost is ideal for use with indoor house plants. It is recommended for filling pots and repotting houseplants. Always use the compost straight from the bag and do not mix it with other materials before use. Partly fill the new, larger pot with Bord na Móna Growise Houseplant Compost. 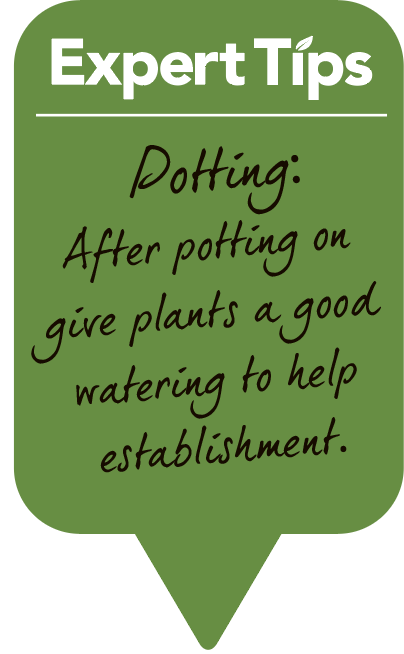 Fill the pot with Bord na Móna Growise Houseplant Compost firming lightly.